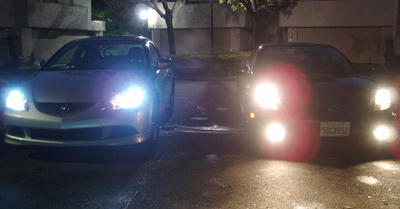 HID (High Intensity Discharge) Xenon lights are the choice on many upscale vehicles. In the past, drivers with outdated halogen lights could only desire the performance of HID lighting systems, now Xetronic proudly introduces the HID Xenon Conversion Kit to convert your vehicles to an HID Xenon lighting systems in an easiest and most affordable way. HID produces supreme light output providing drivers with greater visibility, therefore promotes increased comfort and safer night time driving condition. HID also consumes 35% less power and generates less heat during operation, therefore they will not melt the light housing nor wiring that makes it perfect to use with aftermarket Projector Light Housings. 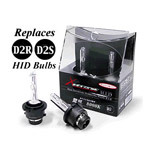 Xetronic HID Xenon replacement bulbs are upgrades for any vehicle with factory HID lights. Your factory HID emits blue light for ONLY 5 minutes after being powered on and changes to a yellow white beam thereafter. Xetronic HID Xenon bulbs emit distinct blue/purple colored beams for the entire time. Whether you are looking to replace a damaged HID bulbs or just looking for individuality, these bulbs are for you! For Vehicles WITHOUT factory HID Xenon lights, our HID Xenon Conversion Kits are the simplest and most affordable way to upgrade virtually any cars, SUVs and trucks with halogen head/fog lights to HID Xenon lights with NO modification. Just plug and play. 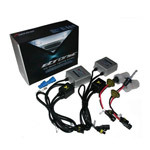 With world smallest HID components and extended-length cables, our HID Xenon Conversion Kits are the simplest and most affordable way to upgradeyirtually any motorcycle. No wire cutting. For Vehicles WITHOUT factory HID Xenon lights, you can now upgrade your yellowish white factory HID bulbs(D2S & D2R) to our awesome 6000K Aqua Blue, 800K Deep Blue or 10000K Violet Purple HID Xenon bulbs. Advance Auto Engineering (c) 2019 All rights reserved.